The ComAfrique-InteliZon Initiative now shows the Village of Sitanunku how they can have their own self-financed SOLAR Water Pump and Bore Hole. It all started when Mr Marcel Hendricks took us out to showcase his new ECO Hotel project - On The Gambia River at the famous DOG Island - the village of Sitanunku. A Village that Mr Demba, a resident and co-ordinator of Marcels plans, says has given The Gambia many administrators and thus is a Village quite capable of understanding a developmental effort and sustaining it. However, when we explained t them that our Initiative was for basic lighting, they requested that the Sponsor kindly address their more urgent needs - WATER. The Villagers suggested that they had to walk miles to get water as they did not have a bore hole. He suggested that once they had WATER with a SOLAR Pump and Bore Hole, they could address the problem of Light for the 80 odd families of SITANUNKU. 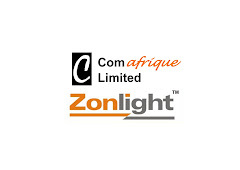 They had put us in a dilemma since ZonLights and ZonHomes operate on small panels and Li-ion batteries that are not capable of pumping water!!! They readily Agreed as all these amounts were significantly lower than their Candle requirements. For 80 Lights with 20 Basic ZonLights, 30 ZonLight II and 30 ZonHomes - The Village Light Committee Daily earnings would be 155 Dalasis ( 6.40US$) and thus approx 4,650GMD per Month (180US$) or 2,200US$ per year. A part of this would be spend on Expansion at 10% Lights and Streetlights per year. A Apart would be spend on the Battery replacement every 18-24 months. They would still have a surplus amount in their Fund. Thus if the Village Light Committee wanted, they could use their Village Light Fund to procure their WATER Solution themselves. Now came in the Role of a partner Bank. We agreed to rope in a partner bank who would help the Village of Sitanunku bank their ZonLight Fund and provide them with an interest. One Precondition was that the Bank would - on the basis of a guarantee provided against the Village ZonLight Fund, Provide them with a Loan immediately to acquire their own Bore Hole with SOLAR Pump. Thus in a very innovative way, They will now have light and their Lights will pay for their WATER too. To make the Water sustainable, the Village Light Committee will impose a minor levy on the use of the Solar Water Pump and Water Consumption to pay for future expansion and maintenance. Banks and Corporates : Please help us take this model forward. Amazing Ram! So proud of you! Can we get an update on this project?